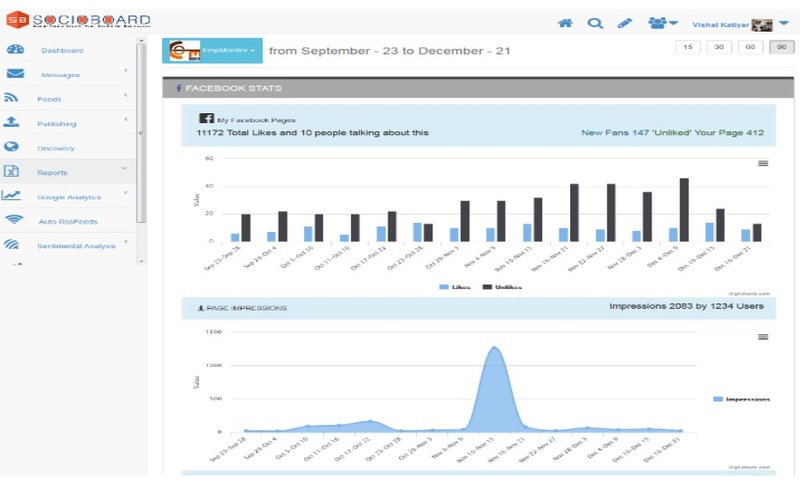 How to Measure Social Media Using SocioBoard's Analytics Reports? Home More SEO How to Measure Social Media Using SocioBoard’s Analytics Reports? If Social Media Marketing is the heart of an organization today then surely social media analysis is that power which keeps the heart pumping. Without social media analysis, it’s quite difficult or nearly impossible to win with your social media marketing. 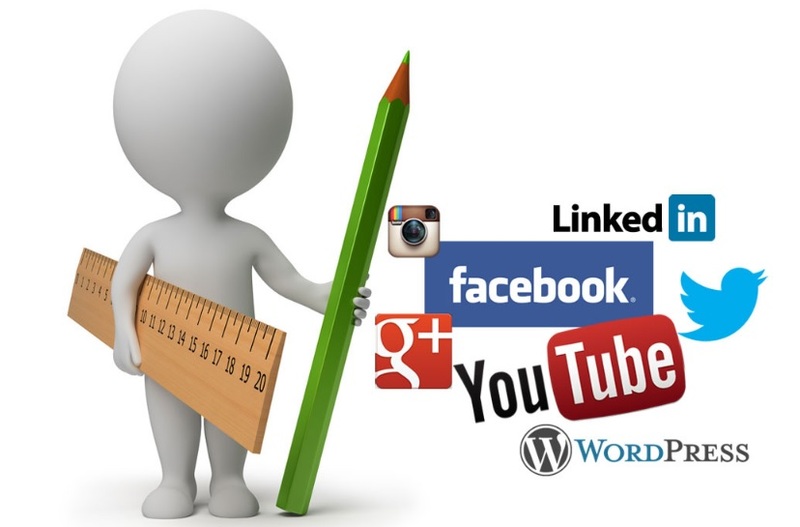 This post includes the following tips for Measuring Social Media. Social media metrics, measures of social media use, measure social media influence, how to measure social media marketing performance, how to measure social media roi, how to measure social media marketing success, how to measure social media effectiveness etc. It’s 2016 and every organization knows the importance of social media analysis. This is the reason why Social media analytic is just not a tool, it has become an important topic for research. Unless and until you monitor your marketing campaign, check the results, track the campaign at every particular point, it becomes quite difficult to get going in such a competitive market. Fortunately, we have various social media analytic tools available in the market today. One such efficient social media analytic is SocioBoard. In this article, we shall discuss How to Analyze your social media campaign using SocioBoard? SocioBoard is an Open source social media software which helps you manage your multiple social media accounts simultaneously. Since the day it was launched, it has been successful in gaining the attention of various social media marketing expert from all over the planet. The prime reason why it has been being it’s unique idea of social media analysis. With its latest up-gradation, it has become one of the finest social media analytic tool present in the market today. 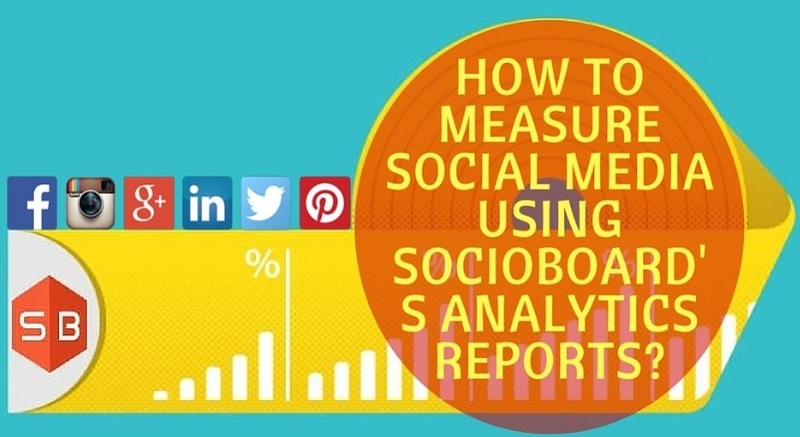 How Can SocioBoard Help You Measure your Social Media Marketing Campaign? A good analyst tool must need to breath data. In social media marketing, there are various important data that can help you make or even break your strategy. When you consider social media, then you must make sure you have entire data of the three most important social media platforms that is Facebook, Instagram, and Twitter. Each social media is having their own feature and their own unique data which needs to be taken care off. SocioBoard helps you receive some of the major data from Twitter, Instagram, and Facebook. on Twitter You can get the number of profile views, the number of comments, the number of people following you, the number of people liking your posts, the number of times people clicking your links, the number of times people following your links, on Facebook what is the number of page likes, what is the post reach, what is the number of paid likes, what is the number of organic likes, how many people unlike your page, what is the net like and on Instagram you get to know the number of views, you get to the know the ratio of engagement per media, engagement per follower, you get to know the number of followers gained etc. One of the prime reasons why SocioBoard has turned out to be so prominent in the market is due to its amazing way of accomplishing the sentimental analysis on social media. This is another special element of SocioBoard that helps you effectively make sense of what the crowd think about you and your posts on social media platforms. This is the colossal scientific element that can help you choose where you remain in the business sector, what individuals are considering, whether you are accepting positive or negative reactions, and so on. This component helps you to discover all the online networking posts where you are being talked about. There are sure channels that help you to compute the number of retweets, shares, comments, likes, following on your posts. This is a mirror of your online networking marketing campaign. This examination helps you to frequently enhance and even concentrate on things or online networking stages where you are missing behind. With sentimental analysis, it becomes quite easy on the analyze your social media marketing, do a quick competitive analysis, easily respond to a potential crisis and add a context to your social media sharing and uploads. SocioBoard is the tool that lets you accomplish this thing that too quite significantly. One single negative review for your brand and you find yourself nowhere in the market. Every social media marketer always keeps in mind the human nature of the audience. Though most of the audience just needs the data, but you can’t keep aside the human aspect. The only way to keep your audience happy and interested in your posts is by engaging yourself in the real time. SocioBoard intimates you immediately whenever any audience leaves a comment or asks a query to you. It’s nearly impossible for an individual to be continuously online at social media. So whenever you get a ping from your dashboard, you can immediately reply to that comment or query. The SocioBoard Mobile App can be used to reply to those comments and queries. SocialBoard has an extraordinary feature i.e SocioBoard Smart Inbox. This component is predominantly incorporated to enhance the online networking reaction. Online networking advertising need to be responsive. Crowd lean toward those accounts that can help them on their questions continuously. In any case, it’s impossible for a social media user to be online constantly. So keeping in mind the end goal to handle this issue, SocioBoard joined a component that underwear you at whatever point somebody messages or tries to get in touch with you on any online networking stages. Not just this, this segment helps you to counter the messages or questions that have been put by your audience. This area will without a doubt enhance your online networking responsiveness and help you effortlessly inspire your crowd around. SocioBoard is undoubtedly one of the best social media marketing software in the market today. Some of its exclusive features make best in the business. 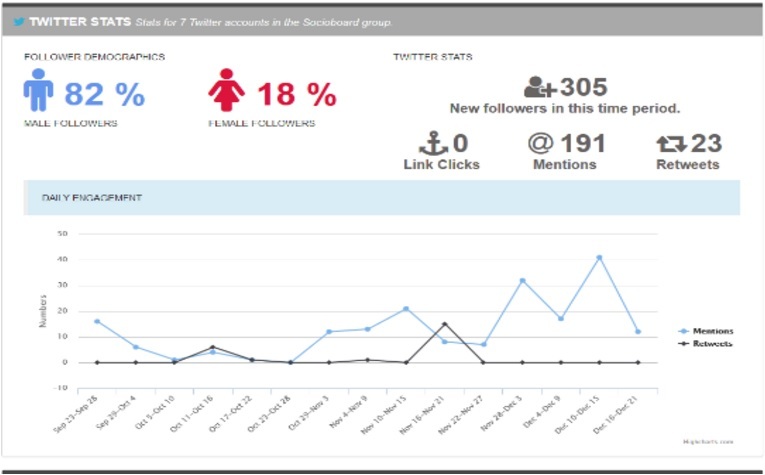 SocioBoard has changed the definition of Social Media Analytics and taken the level of social media analysis way higher. These are some of the important features. What do you think about this amazing product? Do share your views in the section below!! !